Jimmy and Nath from Hit100.9 Hobart held ‘Tasmania’s Greatest Puzzle-Off’ this week. Nath went up against Tasmania’s Puzzle Champion, 75-year-old resident of Aged Care Deloraine Allan Adams. Nicknamed the Double-A Battery, Adams took his title earlier in the year when he completed a 33,600-piece puzzle which stood at 5.5 metres wide and three metres tall. 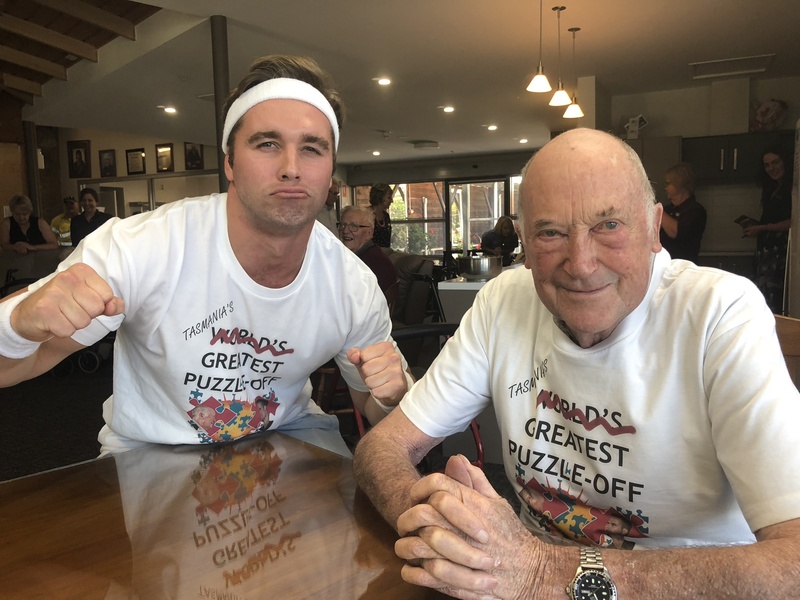 The Puzzle-Off went down to the wire, with a 25-minute battle taking place between Adams and Nath, with the Double-A Battery pronounced winner and crowned Tasmania’s Greatest Puzzle-Off Champion’ – prompting Nath’s retirement from the sport. “It was great to see the boys get out in the community, and whilst Nath was unsuccessful in taking home the crown as the Puzzle-Off Champion, we were thrilled the boys were able to create such fantastic, local content for their audience,” added Hit100.9 GM Ally Bradley. Tasmania’s Greatest Puzzle-Off is complete!Who is the winner? Hilarious!! The ‘Double A Battery’ is loving it!